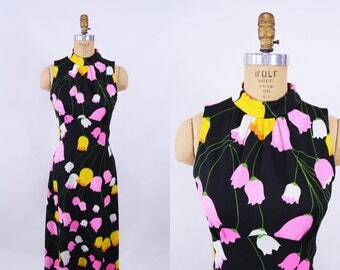 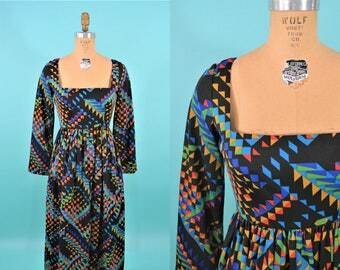 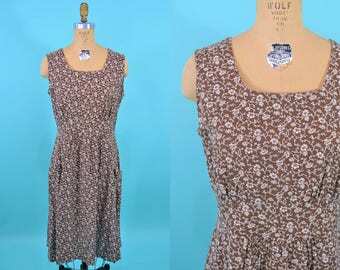 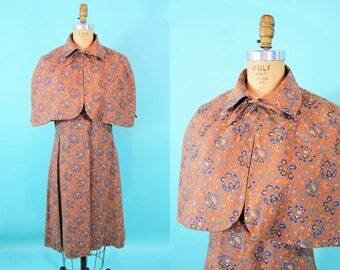 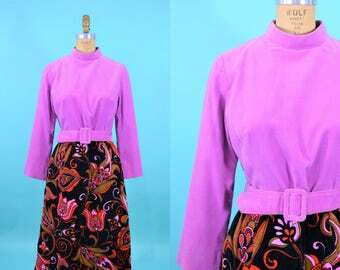 1960s floral maxi | large print purple keyhole vintage dress | W 35"
Stand out in a crowd in this 1960s dress! 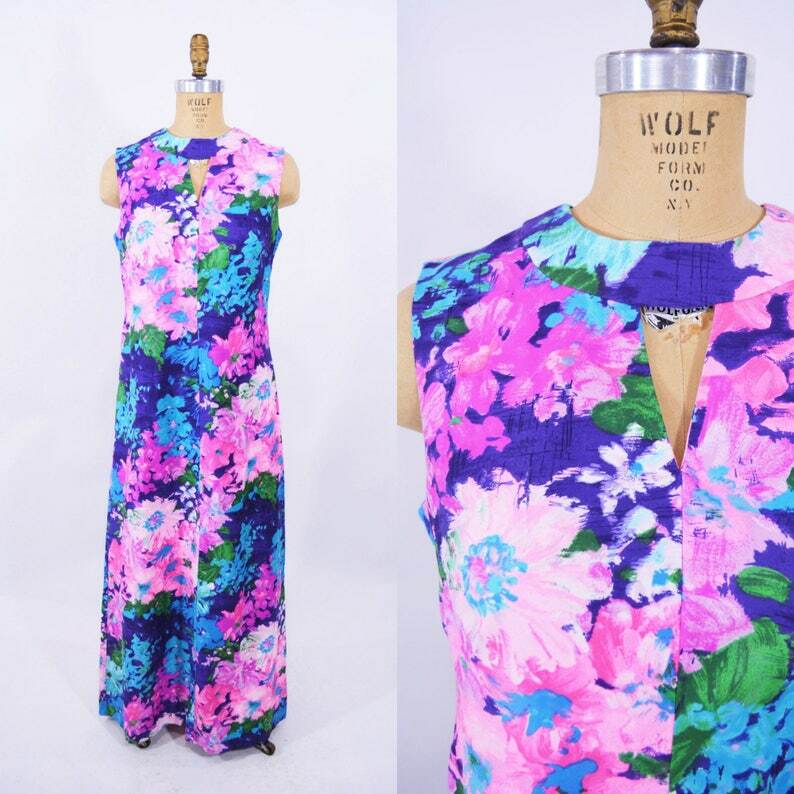 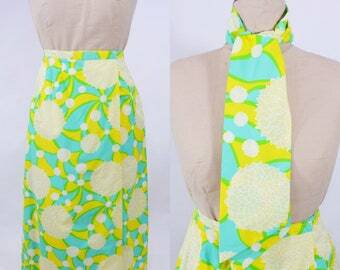 It has a bright painted effect, floral print with keyhole neckline and maxi skirt. 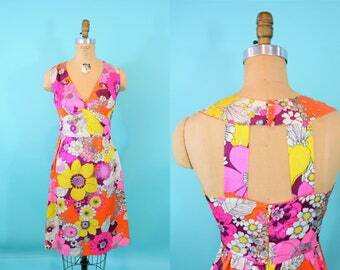 Zips up the back and is unlined. 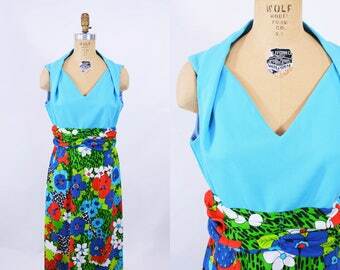 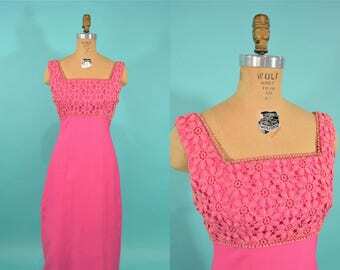 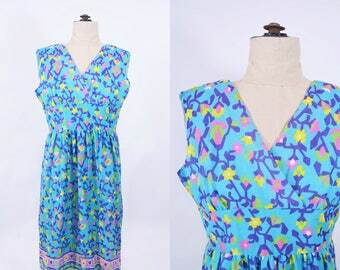 1960s floral maxi | blue bodice vintage maxi | W 33"
1960s maxi dress kaleidoscope geometric print Claudia by George Halley | W 27"
1960s embroidered maxi | hot pink bodice evening vintage dress | W 28"
1960s tulip dress | pink print empire bust vintage maxi | W 27"
1960s neon dress | psychedelic daisy print vintage cocktail dress | B 32"
1960s quilted maxi | Dynasty Hong Kong velvet floral dress | W 30"
1960s formal dress | blue bow detail empire bust vintage maxi | W 33"
1960s aqua skirt | trippy colorful swirly vintage maxi skirt | W 29"
1960s boho dress | blue embroidered tiered vintage maxi | W 28"